A love story like no other, this is the debut novel from Carrie Hope Fletcher, author of the Sunday Times No. 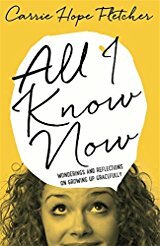 1 bestseller All I Know Now. Cherry has a hidden talent. She can see things other people can't and she decided a long time ago to use this skill to help others. As far as the rest of the town is concerned she's simply the kind-hearted young woman who runs the local bakery, but in private she uses her gift to add something special to her cakes so that after just one mouthful the townspeople start to feel better about their lives. They don't know why they're drawn to Cherry's bakery - they just know that they're safe there and that's how Cherry likes it. She can help them in secret and no one will ever need to know the truth behind her gift. Theatres have a certain kind of magic. When the curtain rises, we are all enraptured by the glare of the lights and the smell of the greasepaint but it's when the curtain falls that the real drama begins . . . 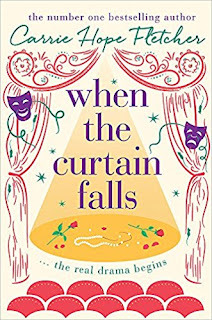 Almost seventy years later, a new production of When The Curtain Falls arrives at the theatre, bringing with it Oscar Bright and Olive Green and their budding romance. Very soon, though, strange things begin to happen and they learn about the ghost that's haunted the theatre since 1952, a ghost who can only be seen on one night of the year. Except the ghost is appearing more often and seems hell bent on sabotaging Oscar and Olive. The young couple realise they need to right that wrong from years gone by, but can they save themselves before history repeats itself and tragedy strikes once more? 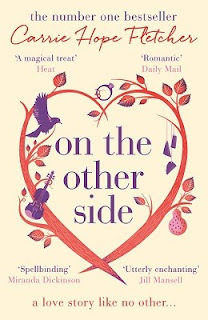 My favourite book of yours was on the other side I couldn't put it down. I loved All that she can see! It took me ONLY 3 days to read (i was at school during those days) It was magical and made me feel so happy! Keep up your writing skills! I struggle to put your books down... 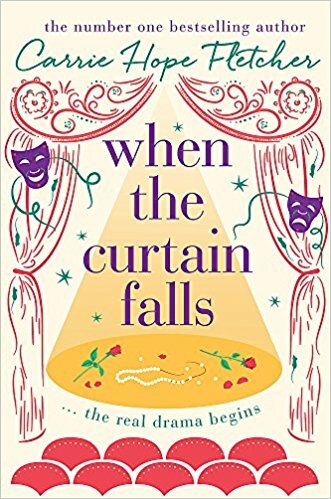 I'm currently on my second read of When The Curtain Falls. I completely fall in love with each and every one of your characters (even the villains!). Each is so beautifully and intricately written...I love them!!! 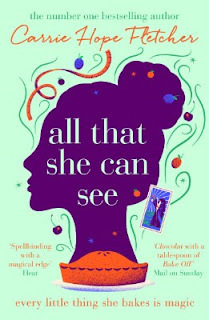 "All that she can see" is my favourite book on earth. It's so well written and so intriguing!